Scott Hawes, MS, PT is a graduate of Emory University with a Masters in Physical Therapy. He has 17 years of clinical experience as a physical therapist across both acute care and outpatient settings. Since 2004 the American Physical Therapy Board of Specialists has recognized Scott as a Neurologic Certified Specialist. In addition to his clinical work, Scott has participated in clinical research around the development of wearable robotics for locomotion in individuals with neurologic dysfunction and he has provided continuing education in the realm of neurologic rehabilitation and wellness. 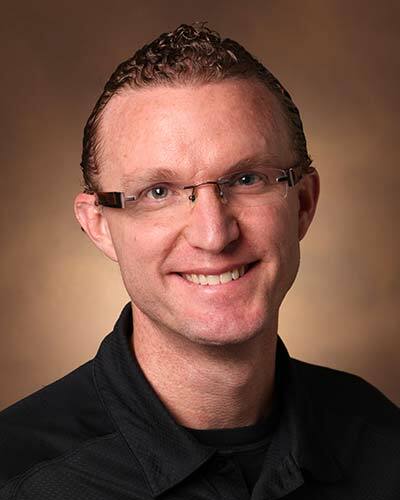 Since he returned to Vanderbilt in 2014 he has been focusing on the critically ill ICU patient population. In addition to these clinical responsibilities he has participated in MICU nurse orientation around mobility in the ICU and has facilitated a simulated mobility lab for the ICU Liberation Conference.